transformative practices for feeling-thinking people who care about themselves and the world. be supported in creating real change in your life, right where you need it. Get curious about who you are, explore connections and how you move-breathe-live so that you can de-stress, feel freer, build health in body and mind, be equipped to make better choices...and enjoy doing it. Explore and practice yoga & movement that unravels tensions and unhealthy habits from your body, reveal and release stale thinking patterns form your mind and cultivate healthy safe ways of connecting with your emotions for a richer more connected life and more fulfilling relationships. Time out from your daily grind, to reset, explore & restore you, to you. Conscious Connected/ Rebirthing Breathwork workshops to learn and experience the transformational and health benefits of your breath. Immerse yourself in learning about the imprint of your first breath - at birth - how that pattern is playing out in your life, and how you can change it. Explore Rebirthing Breathwork and you working life. Learn about how your birth script influences your working life, and how Rebirthing Breathwork can support you to thrive in our changing world. What you need, for you. Conscious Connected Rebirthing Breathwork: uncover & release old patterns, rewire your psyche, heal & energise on a cellular level through the natural power of your breath. Private yoga, meditation & relaxation Learn at your own pace, be supported to better meet your physical, mental, emotional & or spiritual needs. Personal Healing Sessions: Energy healing (Reiki), Neo-Shamanic healing, Soul Sessions, Tantric Numerology. All about you from a subtle perspective. De-stress, self-heal, stress, self care, deepen your self knowledge. 6 weeks of transformative yoga & meditation to move you in body, breathe and being. Intimate groups, personal attention. Bookings essential. 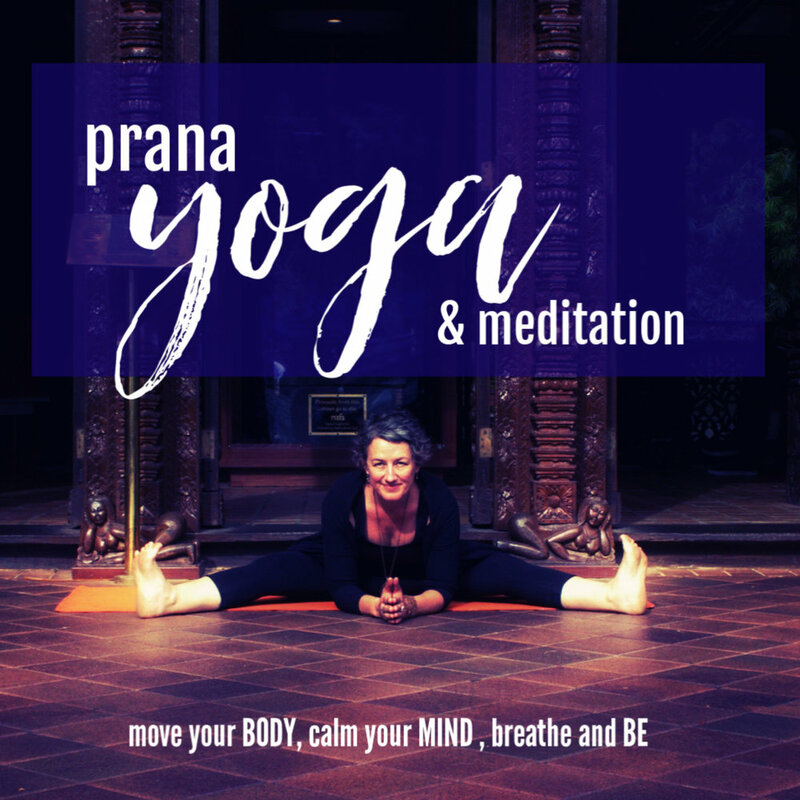 Prana Yoga & Meditation: a practice that is equal parts body, mind, and spirit to address, balance and connect the many parts of you. Leave feeling good, with the strength, flexibility, focus & energy that you need to live your life well. Our signature Gut Health & Healing workshop. Running for over 5 years now, this course just gets better, as will your guts and you! Explore the links between food, the state of your nervous system, the state of your mind and your environment on your overall health and wellbeing. This comprehensive half-day workshop includes the wisdom you need, as well as simple yet powerful practices to support you and your body in self healing and inner balance. be more peaceful or wear the 'right' clothes. or wait until the stars align. in this body that you are wearing. Right now.